Calm down pet lovers, this is in America and I’m talking about HOT DOGS. Still the thought of finding these on the menu at Burger King is pretty strange, but as of yesterday they are available in two different varieties. A classic dog with ketchup , mustard , relish , and onions and also a chili cheese dog. I ordered one of each variety and took them home for supper last night. Each of them had a normal sort of hot dog bun , with a wiener in the middle. The wiener had a smokey grilled taste and it’s texture had a slightly chewy skin. It was better than what I was expecting. The classic dog had a sort of sweet taste due to the ketchup and relish. I liked the onions on top and found myself wishing that they had also been added to the chili dog. The chili dog was also pretty good, but I couldn’t taste or see any onions or mustard on it, which is how I like mine prepared. The chili and cheese did taste good, and I think I’ll try one of these again in the future if I can get onions and mustard added. I’m not ready to state that I like it more than a chili cheese hot dog from Hardee’s yet, until I’ve had a chance to try one prepared this way. I’m glad that Burger King decided to add these to their menu, and grill them over flames. I’ve never been a fan of dirty water dogs. I normally pass on sweets in favor of having more protein or skipping the extra calories, but Girl Scout cookies are an exception to my rule. These flavorful combinations of chocolate and peanut butter are delicious as a between meals snack, an after meal desert, or with your coffee in the morning as a nutritionally questionable breakfast. If you like Reese’s Cups, you will like these. The chocolate on these is a little darker in color, and there’s a cookie base, but otherwise the taste is very similar. Unlike the Thin Mint cookies which I place in the freezer, I consumed these at room temperature. I feel good about helping the Girl Scouts raise funds, while also feeling bad for eating a whole box in less than 24 hours. Isn’t that how it’s supposed to be with these? I like fried chicken, BBQ potato chips, Chick-fil-A sandwiches, and hot and spicy food. I LOVED this new chicken recipe, Nashville Hot Chicken from KFC. Those things are the tastes that I experienced while eating this chicken. Mine came in a plastic container and not in a bucket. There were slides of pickle spread across the tops of the chicken pieces, and the combination of chicken and pickle taste is what reminded me of tasting a Chick-fil-A sandwich. The batter on these has spices but there is also a sweetness to it, and that’s what reminded me of the taste of BBQ potato chips. Salty and sweet at the same time. I normally don’t go to KFC for fried chicken, and instead prefer to get mine from Popeyes because I order the spicy variety, but as long as the Nashville Hot Chicken is available at KFC, I’ll be going there instead. It won’t surprise me in the least bit to see this become a permanent addition to the KFC menu in parts of the US, if not nationwide. I wrote about the new Taco Bell Quesalupa a couple weeks ago, when I had a chance to buy some before the official nationwide launch. In my post I stated that I’d like to try customizing my order the next time. That’s what I did yesterday, and it’s the subject of this post. 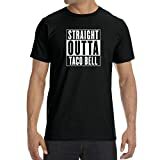 Using the Taco Bell website, although I could have used the Taco Bell App, I removed the low fat sour cream and the cheese from each one of the 3 Quesalupas that I ordered. I also added onions to each of them. These still had the lettuce and diced tomatoes that come with them as well. The minus or plus signs show what I removed or added for each one below. #1 Steak was the meat that I picked. Taste notes: Too much liquid, sort of a blackish looking mix, it tasted OK but wasn’t pretty. I’m still tempted to find a mix using Black Beans that I’ll like better. Taste notes: A good attempt at a chicken bacon ranch flavor, tasted pretty good. I’ll order this one again, and maybe try substituting Pico for the diced tomatoes, or adding Jalapenos. Taste notes: A nice amount of filling and not too runny, tasted great with Cholula This was the one I liked the most out of the three I customized, and a order again choice for me.